Please update any bookmarks you might have. We’re now hosted and permanently at http://www.inkwolfpress.com. If you were already using that URL you don’t have to change anything, if you had the inkwolfpress.wordpress.com url, then you will need to update. This site will be going away in a couple of months. Also check out inkwolfpress.com for a special fund raising event for the WOLF sanctuary recently affected by the Colorado fires. New Projects in the works. At long last our first work is published. Follow Doc, the intrepid Border Collie as he faces down foes more challenging than sheep in this novella length story by J.A. Campbell. It is available in print and ebook. Welcome to Inkwolf Press. This is a small press that my friends and I are putting together as an experiment. We’re going to publish in house at the moment until we get our act together. Check back to see what projects we have going on. Coming soon. 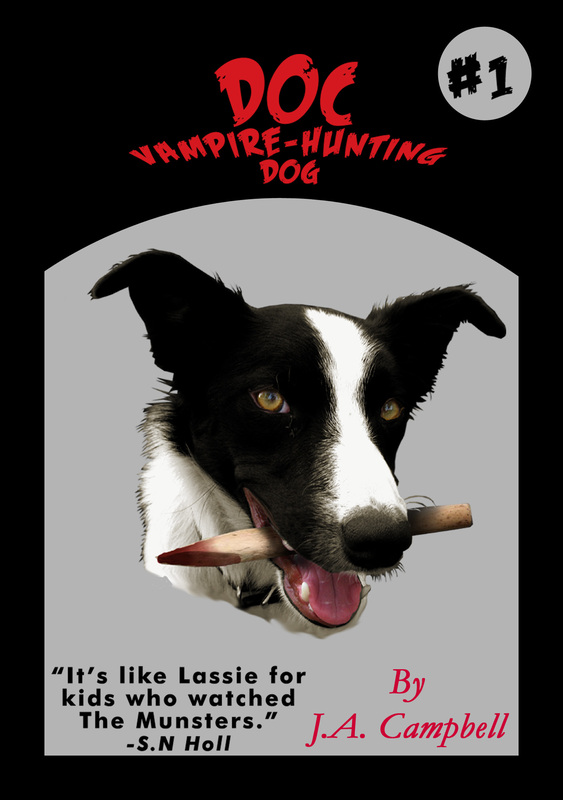 Doc, Vampire-Hunting Dog.